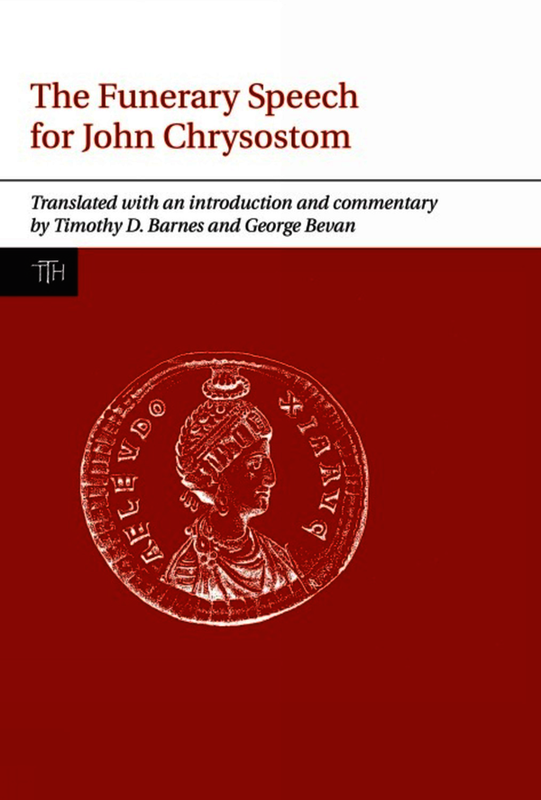 This book offers the first English translation of the funerary speech for John Chyrsostom delivered by one of his former clergy in a city close to Constantinople in the autumn of 407 when news arrived of John’s death on a forced march in eastern Asia Minor. The speech is the earliest and fullest account of John’s activities as bishop of Constantinople between 397 and 404. It replaces the slightly later Historical Dialogue on John by Palladius as the prime source for John in Constantinople The translators are both Late Roman Historians, and their introduction and notes illustrate the importance of this new text, which was first edited critically and published as recently as 2007. ... the contribution of Barnes and Bevan should be praised as they have added a truly valuable work to the field of late antique religious and historical studies by supplementing an accurate commentary on an important text with a scrupulous philological reading of the manuscripts and editions. Timothy D. Barnes is Honorary Professorial Fellow at the University of Edinburgh. George Bevan is Assistant Professor at Queen’s University, Kingston, Ontario.